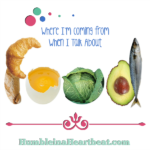 In my post on how eating habits start with parents, I listed the 10 rules that should be followed in order to teach your kids the right way to eat (according to the French). Today, I’d like to discuss one of my favorite rules that I follow (almost) always. If you read through the list of rules in that post, you probably gawked when you read “no snacking.” It’s pretty strict, don’t you think? The truth is, Karen Le Billon mentions in French Kids Eat Everything, French children actually eat one snack a day. It’s the adults that adhere to the no snacking rule. The snack that the kids eat is really a small meal they call gouter. It’s just enough to get them from lunch to dinner. Rule #7 – Limit snacks, ideally one per day (two maximum), and not within one hour of meals. I follow the snacking rule with Sofía (who is 2; Bella is only 8 months, so I don’t have her on a schedule quite yet). I know that without this rule, she would be begging me to eat (while she does the sign for “eat”) at least 50 times every day. Sorry, but I can’t afford that kind of eating habit. 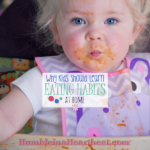 Why Should Your Child Follow the Snacking Rule? There are various reasons why snacking once a day makes complete and total sense. Some of these ideas are presented in the book, French Kids Eat Everything, while others I have come up with from experience and/or research. 1. It’s quite alright to feel a bit hungry between meals. This doesn’t mean that you are starving. Instead, it means that when you eat your next meal, you are more likely to actually eat it and enjoy it. 2. Eating without regard to time leads to emotional eating. Anyone out there ever eaten because they were bored? I know I have. 3. I am more likely to feed my daughter nutritious snacks because she only snacks once a day. I think I would start to fall for the packaged and processed snacks if we were eating many times throughout the day. 4. Who has time to eat all day long anyways? 5. 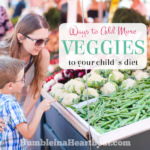 When you eat at the same time every day, you can actually take your kids shopping with you and not worry about them screaming for a candy bar at the checkout or ice cream in the ice cream aisle. I rarely take my daughters shopping with me, but I can imagine this wouldn’t be a pretty scene if Sofía were used to eating any time she wanted to eat. 6. Constant snacking can be detrimental to your teeth, according to THIS article I found through Karen Le Billon’s facebook page. 7. Eating outside of the designated time probably means that you are eating everywhere but the table. This can be a very messy habit, and you will have crumbs in your car and all over your house. 8. Snacking can be expensive. Even if you are just spending an extra 50 cents per day per child, that is $15 per month you have to add to your grocery budget. Now, even though I implemented the snack time rule back when Sofía was just one year old, it hasn’t always been perfect. The times that we break this rule are simply when she is playing at a friend’s house and the mom is giving snacks mid-morning. I let her eat with her friend(s) because it would be crazy to let her watch them eat. Also, this past week while my mother-in-law has been with us, Sofía has been eating fruit with her abuela about an hour before lunch. Other than those few instances, our daughter eats three meals a day, plus her gouter. She rarely asks for food outside of those meal times. However, just the other day, Sofía came running to me in the kitchen and said, “Eat! Eat!” (and did her little sign). I didn’t bat an eye. I just told her that we would be eating dinner soon. I would’ve said in 40 minutes, but she’s too young to know what that means. I have to be consistent, otherwise she will come to expect food whenever she requests it. How Do You Implement the Snacking Rule? So, how can you implement this rule into your life so that you can stop hearing your child screech “Mom, I want crackers!” or “Fruit snacks!”? You should start simple and eliminate one snack at a time. If you are used to giving your child a mid-morning snack, an afternoon snack, and a bed time snack, take away the mid-morning snack before the bed time snack. Subtle changes will be less shocking for your child. I know it’s really hard to not snack as an adult, but if you want your child to snack less, you have to be the example. Here’s a list of a few snacks that we eat on a fairly regular basis. We rarely eat fancy stuff, but sometimes I like to make the gouter more interesting (believe me, I don’t refer to it as gouter. I only just started for this post!). 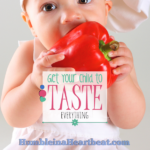 I believe it is vital to make sure your child’s snack is healthy most of the time. We never have fruit snacks or goldfish crackers. The best snack is one that contains a protein since that will keep your child satisfied for longer. 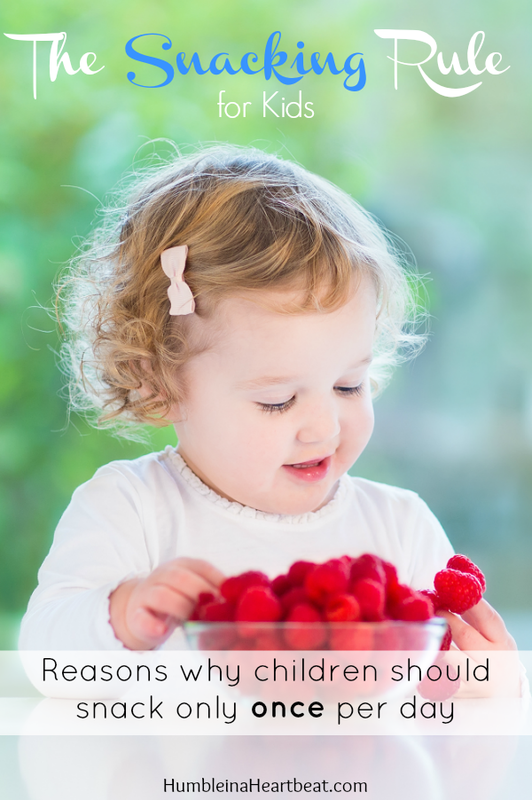 Also, if you decide to let your child snack more than once per day, you should at least give him/her some healthy things to choose from, like fruit. Here are some more ideas of snacks (with links to recipes) that we have tried in the past and absolutely loved. Chocolate Banana Bites from Weelicious – We made these with sunflower seeds instead of peanuts; we also didn’t freeze them before eating, so they were really messy but yummo! Coconut Peanut Butter Oatmeal Balls from Weelicious – um, I could eat these all day long! Vanilla Wafers from Weelicious – Yes, you can buy them, but these are 10x better! What are your inhibitions about only having one snack per day? 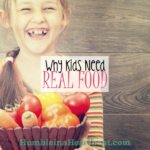 Find out more about establishing healthy eating habits in your kids! Thank you. 🙂 That is completely understandable, Lauren. I would do the same thing. I think the important thing is to keep the snacks at least one hour or more before the next meal. I really hope he starts gaining weight soon! I’d love no crumbs on the floor! I sweep an alarming amount everyday. There’s one of mine that it’s a challenge to get them to eat at all. I’d be happy for three square meals and a snack everyday! Let me know if it works. Seriously! I am so interested to know whether it’s just my kids that do so well with food or if it’s actually these rules that are working. Crossing my fingers that your crumb problem dies down! We do one snack a day – usually right after my son comes home from school to get them through till dinner time. Exceptions are movie night when pop corns or peanuts are mandatory. Of course! You have to have popcorn and peanuts for movies! I loooove snacks (in fact, munching on candy corn right now! I know- naughty!)! Unfortunately my kids get munchy mouth just like me! Z will snack all day long! Then of course he’s not hungry for dinner. Your list is great- #4 needs to go on my fridge! Yes, ma’am, very naughty! I remember that summer we came back from MN and I was complaining I was hungry one day, you told me that I wasn’t hungry, I was just bored. Remember? You told me to drink some water. And I did. That was my first lesson in snacking. Hahahaha. Put it on your fridge!! I’ve been laughing about this since you replied! Don’t remember but can hear myself saying it to you! I’ll put it on my fridge BUT it won’t change how I feel about snackin’! I used to let Dylan snack whenever but once he began getting pickier with his meals, I cut them out completely. And what do you know, he actually began eating his dinner! lol But I’m not crazy about it, if I know he’s probably hungry I give him fruit, steamed carrots, or a cracker. Limited the snacks has made such a huge difference in his attitude at meal time! Thanks for sharing, Rebecca! I am so glad he’s eating dinner now! Fortunately my girls don’t even know what it’s like to have more than one snack a day or it would be really hard to cut out. 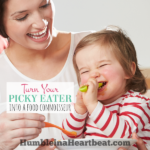 Glad you can get your child to eat with this snacking rule!